On July 28, we celebrated marriage equality with Denise, a parent participant in Children of Lesbians and Gays Everywhere (COLAGE). Denise read Courting Equality in one afternoon, after her neighbor Orlando Del Valle lent her a copy. 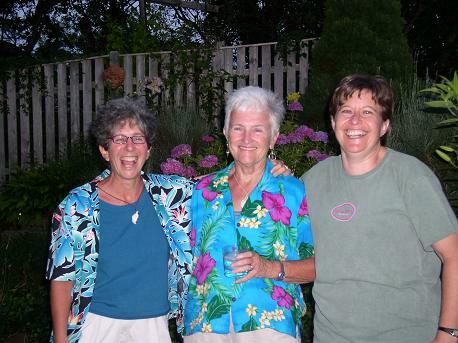 She was among many lesbian and gay families who gathered for Family Pride Week. Courting Equality drew a large crowd to the Provincetown Library, where state representatives Carl Sciortino and Sarah Peake, along with former Senator Cheryl Jacques, talked about the political struggle to win marriage equality. This entry was posted in about authors, Massachusetts. Bookmark the permalink.